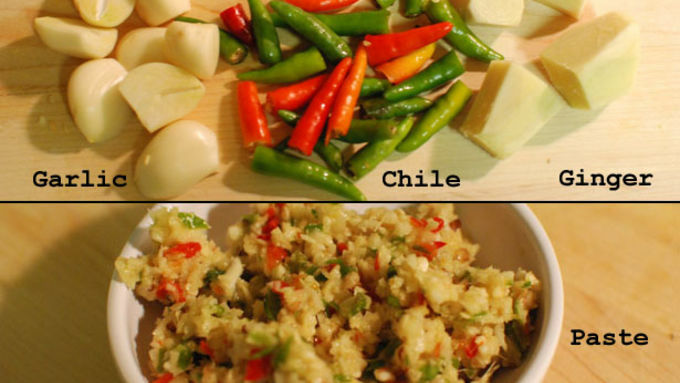 Take the ginger, chile, and garlic and blend them to a paste in a food processor or blender. 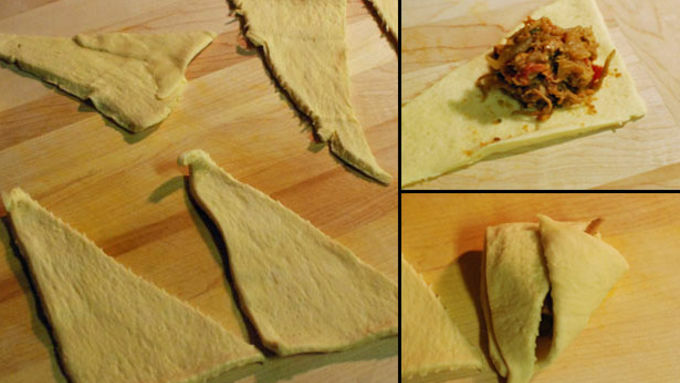 Use a little bit of oil to help it come together. Saute onions in a little butter until browned. Add the chicken to the pan and allow to brown on both sides. Add the ginger/garlic/chile paste and cook 2 minutes. Add the tomatoes, cream, scraping any brown bits from the bottom of the pan. Add the curry powder and sugar and simmer for about 20 minutes. 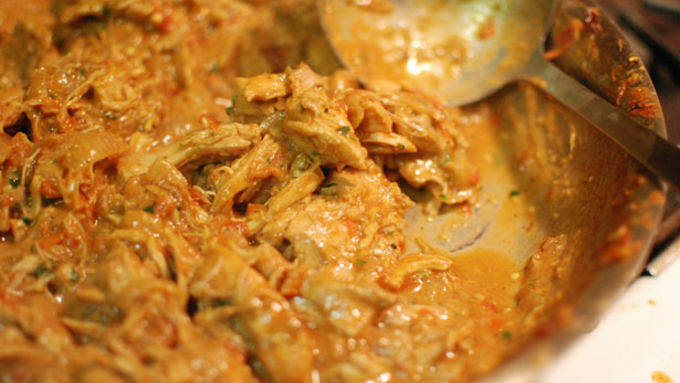 Taste the sauce when the chicken is cooked and add more curry powder if you need it. 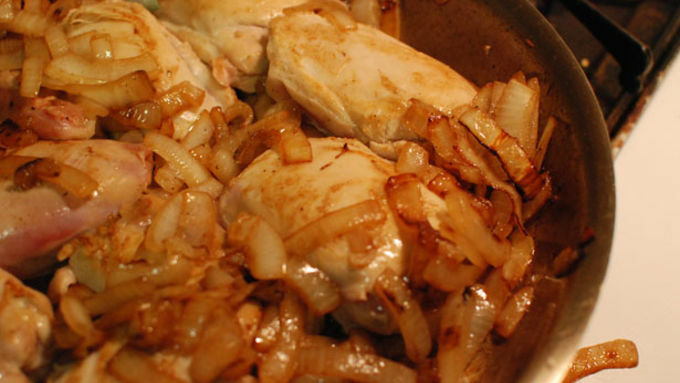 Remove from heat and shred the chicken in the pan with 2 forks. Allow this mixture to cool. 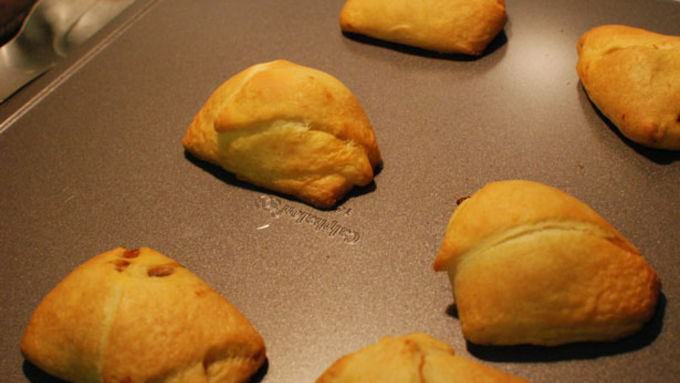 Open crescent rolls and separate into triangles. 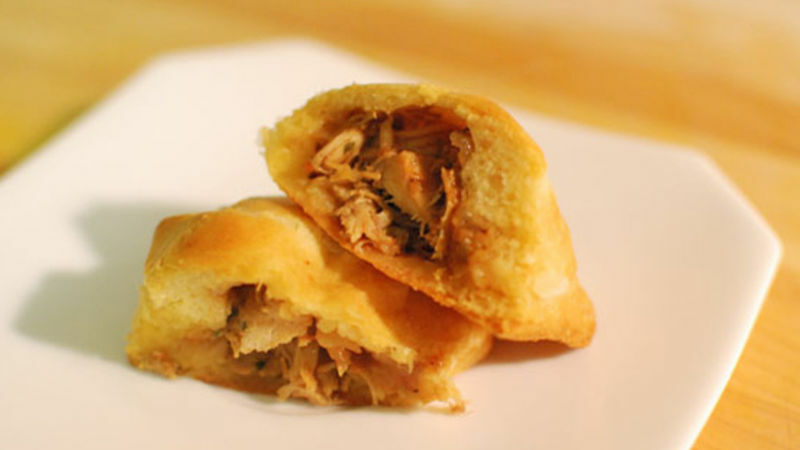 Place about 2 tablespoons of chicken mixture on each triangle and fold it up. Press on the seams to seal in the curry. Bake in the oven about 12 minutes until browned and fully cooked. So now that we all have homemade spice blends in our cabinet, it's easy to make curries! This is a quick chicken curry I whipped up for dinner on Thursday night, and I used the leftovers to make this fun snack on Saturday afternoon with some friends. The buttery rolls complimented the spicy sharp flavors in the curry perfectly! I have only included the measurements for making these as a snack, if you want to serve this curry over rice, you may want to triple the recipe. Be sure to taste as you go to tailor this recipe for everyone from the the curry-curious to the curry-elite!